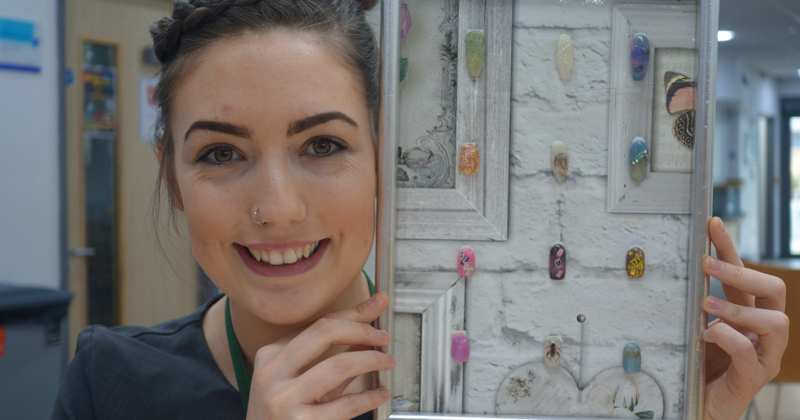 Leanne Douglass (pictured), a nail services student at Stockton Riverside College, was inspired to do something different following a module on her course that explored embedding objects into acrylic nails. The 28-year-old decided to go beyond using glitter and colour sprinkles, instead experimenting with snakeskin – procured from her mum’s pet snake. From there, Leanne spread her wings into embedding dead crickets, locust wings and feathers, after being inspired on her commute to college. Before going into the nail, the bugs go through a complex sanitising process – to the relief of potential customers. Posting the designs on her Instagram account, feedback on these unique creations has been positive, with one comment reading “they massively creep me out but they’ve been done really well”. Alongside her course – from which she graduates in two weeks’ time – Leanne has been running nail business, Aurora Nails, from her home in Stockton, which also offers designs featuring sparkles, sequins and hundreds and thousands for the bug-averse customer. 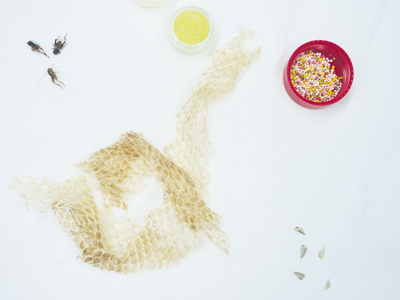 “The crickets and snakeskin are quite a specific market,” Leanne said. 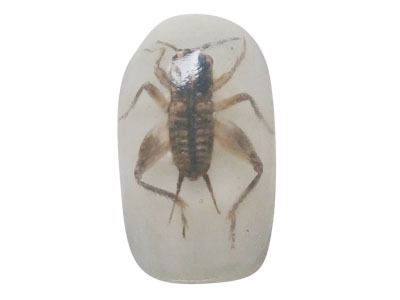 “So far no clients have asked for the bug nails, but I haven’t properly advertised them yet. I’m focusing on finishing my course at the moment. The quirky designs have won her a £100 grant from the college’s enterprise forum to help her establish her fledgling business and stock up on supplies, after she successfully pitched to a panel of business, university, council and voluntary sector leaders from across the region. “When I first started training as a nail technician I didn’t expect to enjoy it as much as I have. I have fallen in love with it,” she added.